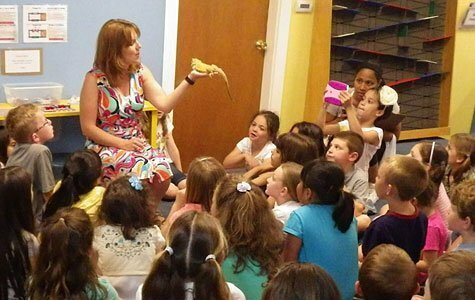 Niantic —the shoreline village of East Lyme, Connecticut— is home to the Children’s Museum of Southeastern Connecticut and many other fun and exciting locations! Visit the Museum and explore our town: the beaches, the shops, the restaurants, the activities — make a day of it! 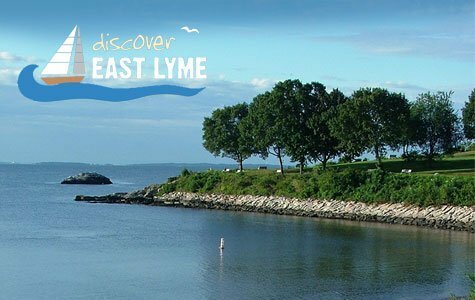 Find out everything you need to know at Discover East Lyme website! Begin your day, spend your day, or end your day with us! Play inside in our hands-on exhibits or head out to our outdoor playspace. Want even more? Then head out and explore our town! Memorial Day through Labor Day you will need to pay to access and park at our town beaches. The Museum will have passes available! Members can reserve ahead of time. Nonmembers, who have paid for a day of play at the museum, can add a beach visit. Check at the front desk for availability. McCook Point Park & Beach has picnic areas, children’s playground, restrooms with outdoor showers, and white-sand beach. Hole-in-the-Wall Beach is just off Main Street with parking and restrooms. 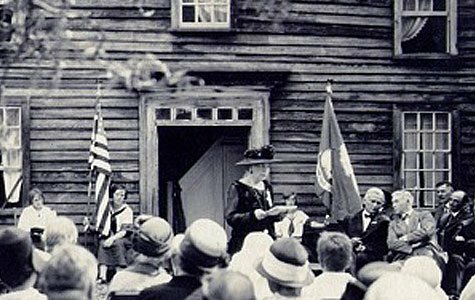 Home to the East Lyme Information Center, the Historical Society is located minutes from the Museum on the grounds of the Thomas Lee House. Check out this historical home and step back in time at the Little Boston School House. Or pick up a Scavenger Hunt* at the Children’s Museum and explore our town with this unique family adventure! *Scavenger Hunt was jointly developed by the Museum and the EL Historical Society. Fun family outing as you pick your own fresh fruit starting mid-June thru October. 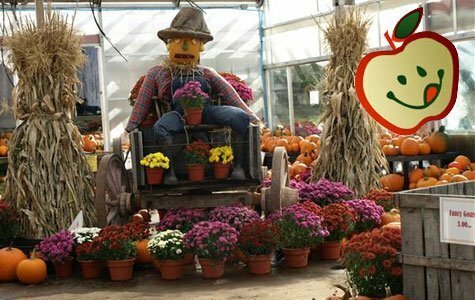 Apples, berries, pumpkins, peaches & other farm fresh produce! 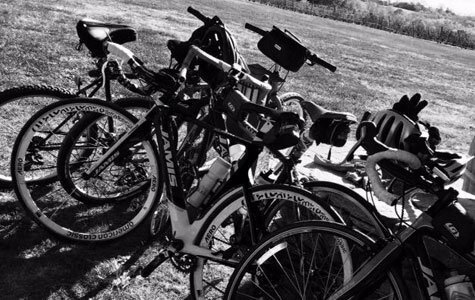 Just minutes from the Museum at 436 Boston Post Road (Route 1), East Lyme, CT.
Niantic Bay Bicycles has free ride maps and hiking maps available for pickup in the store. 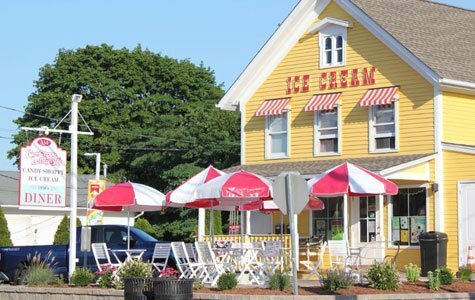 Just steps away at 8 Methodist St.
Old fashioned seaside charm located at the entrance to Hole-in-the-Wall Beach at 334 Main Street. Ice cream treats, shakes, fruit smoothies, fudge, candy – lots of sweet treats! PLUS, a 1950’s styled diner! 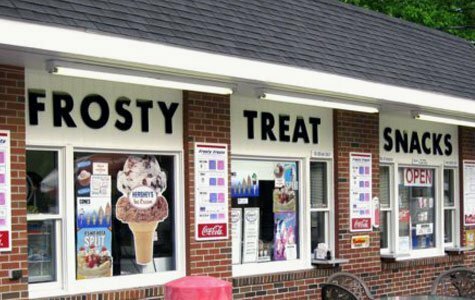 “The place to go” when you are looking for a snack, a full meal, or a frosty treat! Located on the way to McCook Point Park & Beach just down the road from the Museum at 440 Main St. 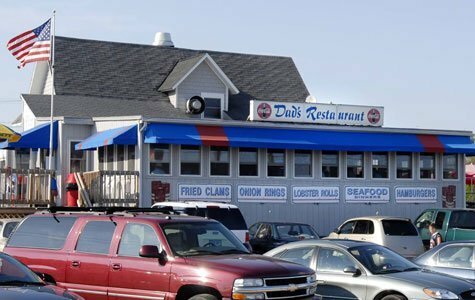 Famous for fresh fried clams, shrimp, scallops, fish and more. Casual inside and outside dining overlooking Long Island Sound. Open April – September. Located down the street at 147 Main Street.